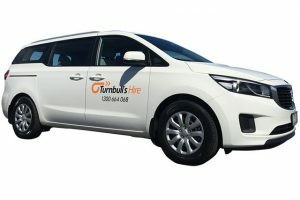 Whether it’s for a night out, family holiday or work function, Turnbull’s Hire range of vehicles will suit your requirements. Our fleet includes modern mini buses in 12, 21 and 25 seat sizes, to Kia Carnivals, Toyota Klugers and Toyota Rav4’s to suit your people mover needs. As a family owned business we understand your needs. 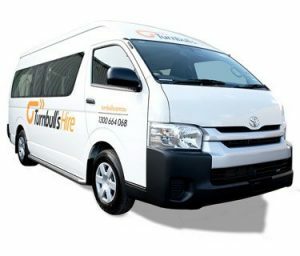 Our Tullamarine and Pakenham depots is open 7 days a week with flexible pick up times and after hours drop off available for your bus hire. Plus, we can also deliver to most suburbs of Melbourne for all bookings more than 4+ days, including Avalon Airport. 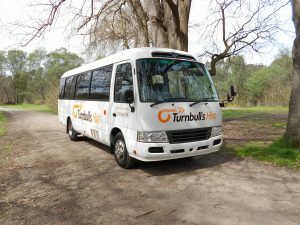 Bus Hire Melbourne – Our People Movers and Mini Buses are a great way for getting your large group from A to B whether you’re in Melbourne CBD or regional Victoria. Planning to fly into Melbourne Avalon Airport? We can organise to have your bus or people mover ready for pick up at flexible times suitable to you. With over 130 vehicles in our fleet including Buses, Trucks, Vans, Utes, 4WDs & People Movers, we are Victoria’s best Commercial Hire Rental Company. Are you planning to head interstate or doing a long trip? Need a bus for that big family holiday? Call us to find out about our all inclusive rates. Our Tullamarine Depot is now open 7 days a week for vehicle collection during business hours. Our shuttle bus will collect you from the airport for ease of transfer. Our self-drive 12, 21 and 25 Seater Minibuses are a great way to move your group to and from your destination. They are suitable for use by school, community and corporate groups through to private hires for your family outing or holiday. All of our minibuses have automatic transmissions and come equipped with tow bars. We also have a range of enclosed box trailers should you require extra luggage space.
. Other items that can be hired along with your bus include baby and booster seats, and GPS units, helping to create a hassle free travel experience. The 12 Seater bus can be driven by anyone with a full car licence. A minimum of a Light Rigid licence is required to operate both the 21 and 25 Seater buses, and if you’re planning on heading to the snow please note that taking a 21 or 25 Seater requires the driver to also hold a Hazardous Area Authority. If you have any licensing queries, please contact our helpful office staff. Book online with our Quick Quote & Booking Form, or simply call 1300 664 068 to speak to our friendly staff. Turnbull’s Hire, We Will Look after You and Your Gang. *Prices listed may not apply during peak seasons, including public and school holidays. *Unlimited kms is only available on hires less than 14 days.